Power steering includes several important components coming together to get your vehicle from point A to point B. If you notice any unusual shaking, noises, or difficulty with your steering system, Glenn’s Auto Repair recommends seeking assistance as soon as possible. 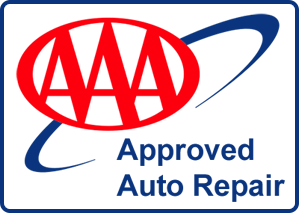 Our mechanics are trained to deliver dependable, high quality service every time. Steering seems like a simple enough process, but there’s a little more to it than just the turn of a wheel. Between the steering wheel and your tires, a lot goes on, and a lot can go wrong when you turn the wheel. At Glenn’s Auto Repair, it’s our job to make sure that all of the components of your vehicle are working together to make sure that each time you turn, your vehicle follows through safely. Most vehicles today include power steering, which can be convenient, but also means plenty of room for error if the system should fail. You’ll find that your steering services are usually combined with a wheel alignment and suspension repair. This is because all these parts work together to make sure your vehicle is turning properly, with equal weight placed on each tire. Have you ever noticed that when your car is running your wheel turns seamlessly, but when your car is powered off, it becomes incredibly difficult to turn the steering wheel? This is because your power steering system is working to make that wheel turn quickly and efficiently. When the power steering fails, you’re going to find that it becomes incredibly difficult, or impossible to steer your vehicle. Power steering requires a few extra bells and whistles, such as a pump, hoses, rack and pinion, belt, and special fluid. When any of these components fail, there is a possibility that your power steering will halt, and so will your vehicle. Your steering wheel is connected to axles through a steering gear. When the wheel is turned, a pump sends fluid into the gear which causes pressure to build and turn the tires. Unfortunately, when fluid is involved, there’s always a possibility for leaks, which makes it difficult for the appropriate amount of pressure to build, and for your car to steer properly. Not sure if you’re having trouble with your steering or not? If you’re experiencing any weird noises when you turn the vehicle, such as groaning or creaking, it could be the steering system. Another sure sign there’s a problem is leaking fluid. You should always have leaking fluid checked as soon as possible, because there are so many parts of the vehicle that require fluid, and some can be more dangerous than others. Finally, the main telltale sign that your steering system needs help is if you notice that you’re struggling to turn the steering wheel. Your entire steering system is incredibly important to the upkeep of your vehicle, and your safety on the road. When power steering fails, it could cause reduced reaction times, slower turns, and accidents. Having your steering system looked at right away when you notice a problem is important if you want to keep your car, and those who drive it safe. At Glenn’s Auto Repair, all of our mechanics are well versed with steering, and have plenty of experience with steering upkeep and repair. In order to repair your power steering system, a trained mechanic, such as the ones here at Glenn’s Auto Repair, will examine the system for flaws. This includes the steering pump, and all connected belts and hoses. If the pump is replaced, chances are, other components may also need to be replaced or repaired. During the repair, your mechanic will flush old fluids from the system, and refill your new parts with the fluid required to work with the new system. Most mechanics will bleed the system after checking for leaks and inspecting the rack and pinion. This is done before replacing the pump to make sure that no contaminated fluid is left behind. Your steering fluid should be changed regularly to avoid contamination or further issues with your pump. For more information on steering repair, or to get a quote, contact us at Glenn’s Auto Repair today. We serve the greater Federal Way, Washington area, and are happy to hear from new or returning clients. Oil and filter change. Check and fill all fluids. Belt, hose, and brake inspection. Tire inspection and rotation. Lubricate door hinges, hood, trunk, steering, components and suspension.